As announced previously, Maccaferri and the MOSE Venice Consortium together, have developedthe MOSE project. This included the innovative lifting gates and of course the unique BFM (BallastedFilter Mattress) product and deployment system. The BFM was placed on the sea bed to provide aseparation and filtration layer beneath the rip-rap erosion protection to the MOSE lifting gates. 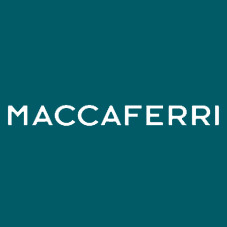 Credit Suisse provided financial support to the consortium involving Maccaferri. Credit Suisse is a close partner of Maccaferri and this advert is part of their marketing campaignfeaturing their clients. The adverts appear in many formats across print and web media. Most recently the advert appeared in The Economist, Forbes, Sydney Morning Herald and more.Keep your eyes open for the animated adverts on the web. Maccaferri is proud to be associated with this campaign by Credit Suisse.